1) How many questions can we ask participants? • Real-time interviews/focus groups: We create a discussion guide, which is generally divided into sections of topics. The amount of time allocated to each topic varies depending on complexity, depth and breadth of the topic. Most discussion guides contain topic sections that fall within a range of 3 to 8 areas of inquiry. • Online Communities (asynchronous): The short-term market research community method generally involves consumers spending a few minutes each day responding, at a time convenient to them, to the discussion questions in an online community setting which is live for 3 to 14 days. Typically one or two questions are published each day. 2) How big should our sample size be? In other words, how many people do we need to talk to? • How many consumer segments exist in your target audience? • How large is your budget? The larger your sample, the more it will cost. • What is your timeline? Larger samples take longer to recruit and talk to. Sample sizes for qualitative studies generally fall into range from 20 to 60 respondents. Qualitative findings are used to test hypotheses, and provide directional guidance, which is often highly specific and actionable, but not quantifiable. 3) Should we reveal our brand/company identity during our qualitative research? • If you need to gather feedback on a specific brand or product, it will, in most cases be necessary to reveal the sponsor. • If you are exploring the competitive environment in which a brand or product exists, it is probably better not to reveal the study sponsor. • You need to think about the impact of revealing vs. not revealing the identity of the sponsor. Will it bias the conversation? How? Is it necessary? Revealing will add granularity and depth to the feedback we gather. Is the need for that level of detailed information more important than the potential bias of revealing the identity of the sponsor? 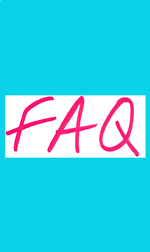 Do you have questions about qualitative research that we haven’t addressed here? Please feel free to ask in the comments section below, or use our contact form to get in touch privately. Keep up with the latest insights from SayWhat Consumer Research. Follow us on Twitter and Like us on Facebook.